Scannewsupdate.info can show various annoying advertisements, which is not a surprise given the application falls under the adware server category. Our researchers say while it may not be a vicious threat it might still be a bad idea to leave it unattended. There is a chance some of the web pages it could redirect you to or ads it might show could appear to be potentially dangerous. Therefore, if you do not want to risk coming across such content, it would be advisable to eliminate Scannewsupdate.info before anything goes wrong. The rest of the article will tell you more about the adware server if you wish to get to know it better before deciding what to do. Should you choose to erase it, we would offer our deletion instructions located at the end of this page. 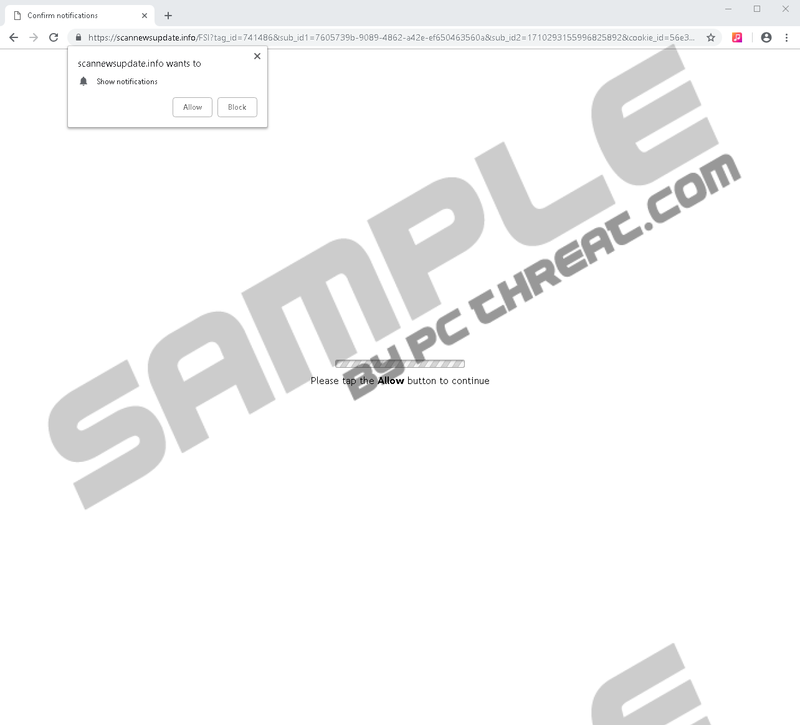 To start with, our researchers report the adware server could come as a redirect, or it might be spread with pop-up advertisements. Naturally, if you do not want to let doubtful tools like Scannewsupdate.info settle in on your system in the future, you should be more careful. First of all, we would recommend not to visit websites that could be potentially dangerous, for example, torrent and similar file-sharing sites or web pages asking to install unknown software, participate in surveys, and so on. Also, it would be smart not to click suspicious pop-ups, banners, or other advertisements you could come across while browsing the Internet. Another thing we can suggest is paying more attention to the programs you choose to install. Probably, it is most important to check whether the software has good reviews, reputable developers, etc. As a last precaution, you could employ a reliable antimalware tool that could guard the computer against various threats. Furthermore, if the application comes with pop-up ads, it could be promoted on adware web pages like joindetox.info. Our researchers say the adware server settles in when the user permits Scannewsupdate.info to show notifications. Soon after this, the user might start seeing pop-ups with various advertisements. The application may also show notifications through the Windows notification tab located on the right corner of the computer’s screen. We cannot say what ads or announcements the adware server might display as such content could depend on region or user’s interests. 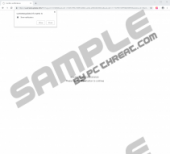 Nonetheless, it was noticed there is a chance some of the advertising material the adware server could display might ask the user fill fake surveys, play in fictitious lotteries, install more untrustworthy software, and so on. You may not necessarily encounter such material if you let Scannewsupdate.info show you notifications or ads, but as there is such a possibility we would not recommend leaving it on the system. So far it seems the adware server can affect only Google Chrome and Mozilla Firefox browsers. However, we know how to get rid of Scannewsupdate.info from both of the mentioned browsers. If you need some help while erasing it manually, you should take a look at the instructions located below this paragraph. By doing so, you will learn how to remove the permission you might have given to this suspicious tool accidentally from your browser. There is also another solution if the manual deletion instructions appear to be too complicated. Users who find erasing Scannewsupdate.info manually is too difficult could get a reliable antimalware tool. In such a case, what would be left to do is scan the computer and wait till the chosen tool finishes searching for possible threats. Once this process is over all of the content identified as potentially dangerous could be removed at once by pressing the given deletion button. Should you need even more help, do not forget you can leave us a message below the article. Copy and paste about:preferences#privacy into its address bar. Press Enter and wait for the Privacy & Security settings to load. Locate Permissions and find Notifications. Choose Settings and locate Scannewsupdate.info. Click the adware server’s permission and tap Remove Website. Copy and paste chrome://settings/content/notifications into its address bar. Tap Enter and wait till the Notifications settings page is loaded. Inspect the list located below the Allow section. Locate the adware server and remove permissions for Scannewsupdate.info. Quick & tested solution for Scannewsupdate.info removal.